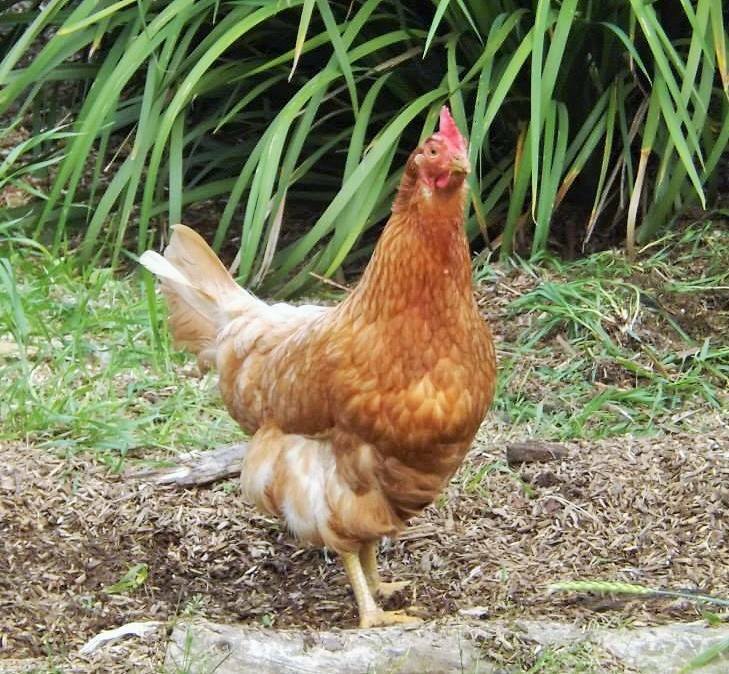 Miss Dorothy-Kate Chicken – rescued October 2012, went to sleep in my arms 13th April 2015. 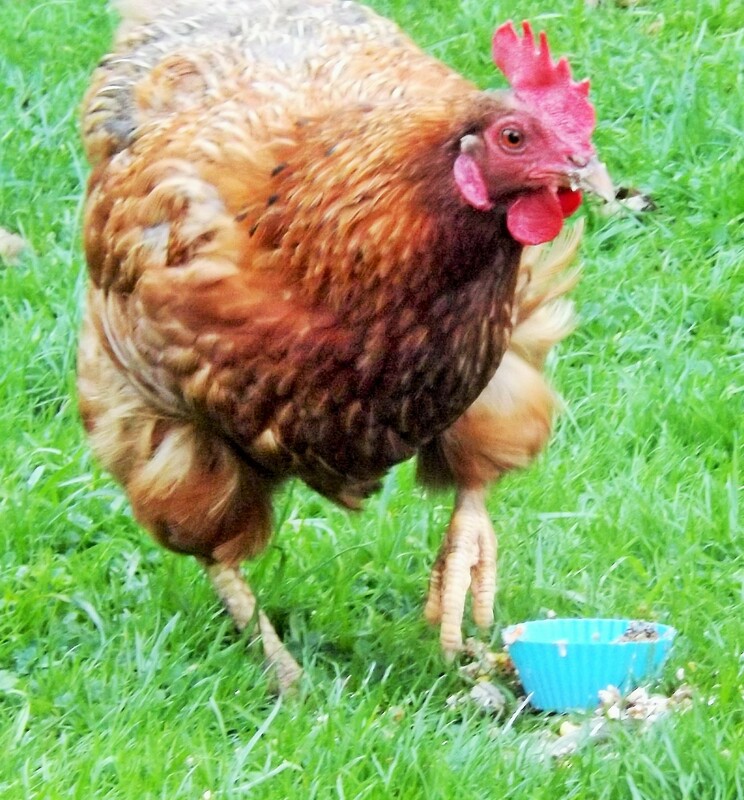 Miss Dorothy-Kate was a big, gorgeous, feisty chicken with a character to match! 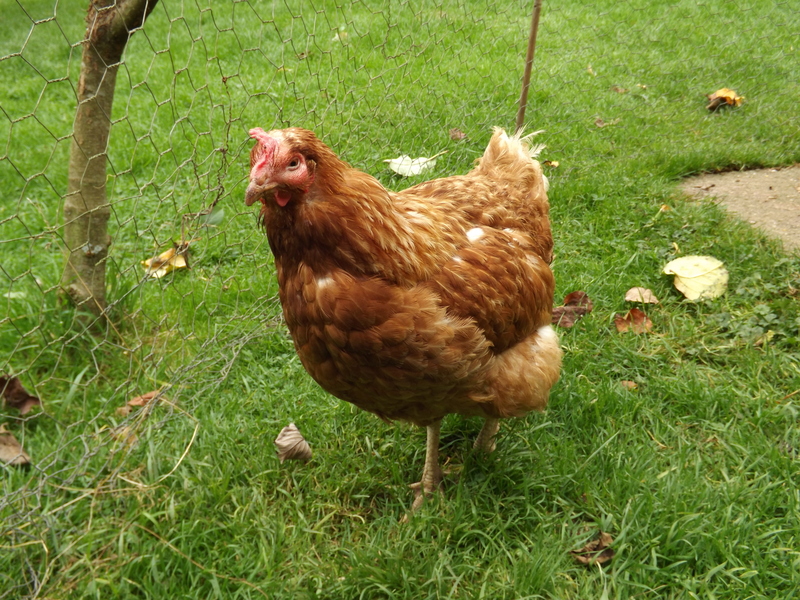 Rescued in October 2012, she originally went to live in Helston with her sister Doreen, and her new human family, John and Sharon. Within weeks she was soon described as a ‘bit of a character’. Quite the escapologist, Dorothy was often found exploring next door’s garden or standing on top of the Cornish hedge at the bottom of her own garden, bwarking away – almost as if she was daring the local foxes – ‘come ‘ere if you think you’re hard enough’! I first met Dorothy near the end of 2013 when she and Doreen came to stay for a week whilst their humans went to London. Despite a dividing fence, that first morning was like World War Three. My girls were not impressed by these two newbies and Dorothy was equally furious at being fenced off when there was a whole new garden to explore. I should have realised then what a big-spirited girl I was dealing with! But with her big spirit, came her equally big heart. 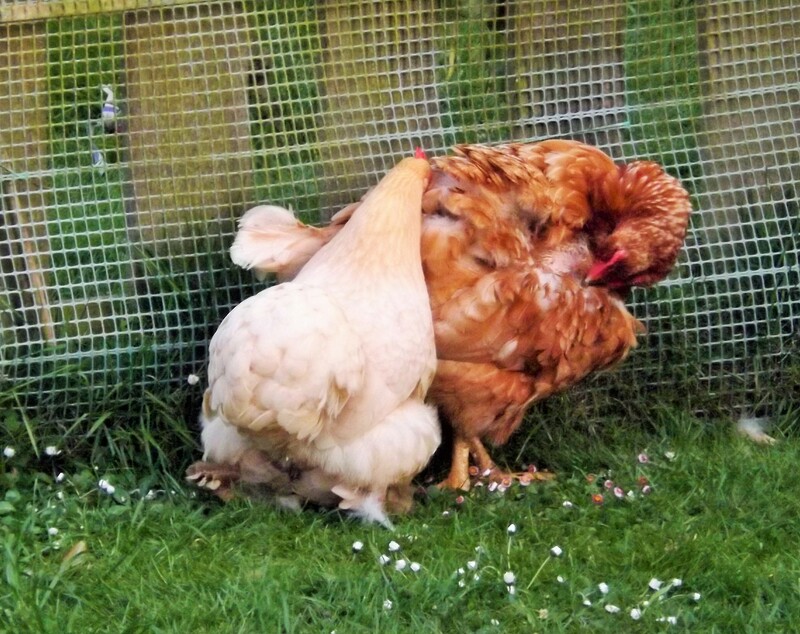 A few months later, Doreen became ill and sadly passed away leaving Dorothy alone. The sight of her forlornly cuddling up to a teddy in her coop at night was enough for John to bring her to live with the Rosewarne ladies. At this point, in July 2014, she became Dorothy-Kate; she had to be a K girl and I couldn’t possibly change her name, so Dorothy-Kate she became. After the initial two-week separation period I introduced Miss Dorothy to her new sisters – after giving my girls a stern talk on ‘being nice to the new girl’. 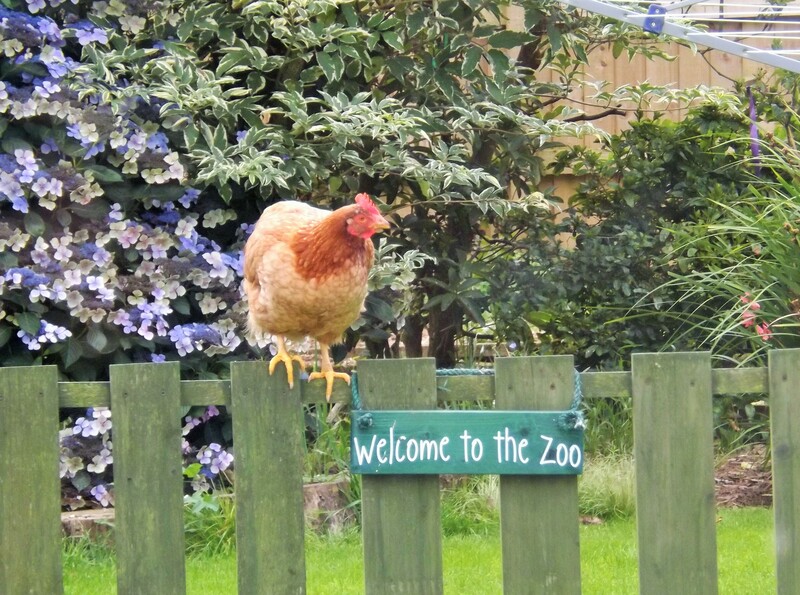 I needn’t have worried, within five minutes Dorothy had established herself as top chicken, and that was that!! 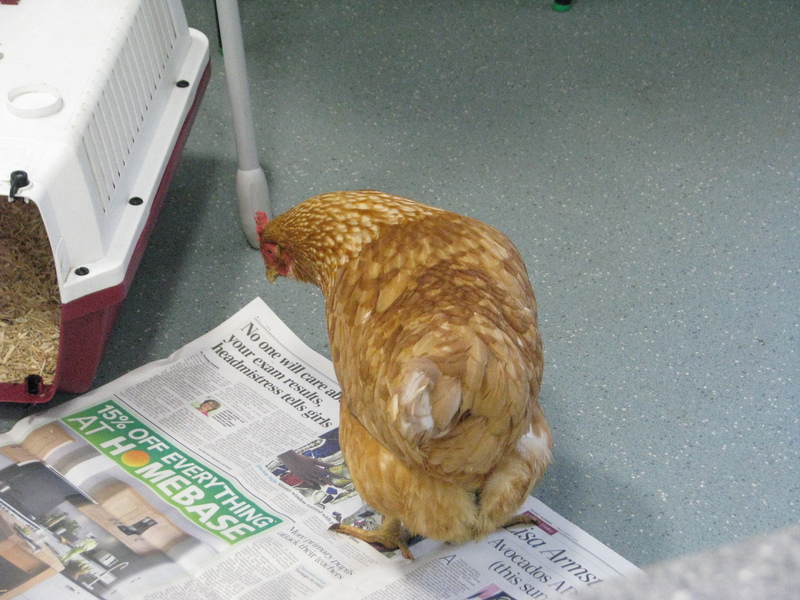 However, very soon Dorothy-Kate (or DK to her friends) took on all the serious duties of a top hen. 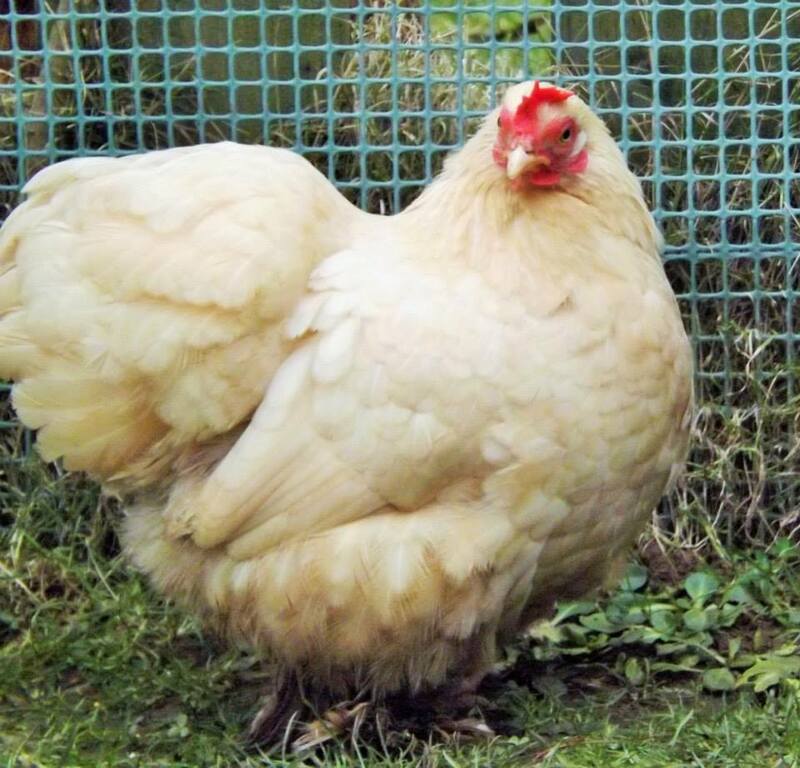 She rounded her girls up for bed each night, protected them during the day, and very sweetly, started to crow whenever she heard the neighbourhood cockerel start up in the morning. In what became something of a ‘crow-off’ she stood fast, her little feet planted squarely on the floor, and replied to every one of his crows with a rather impressive one of her own! It was very endearing and one of my favourite memories of her. 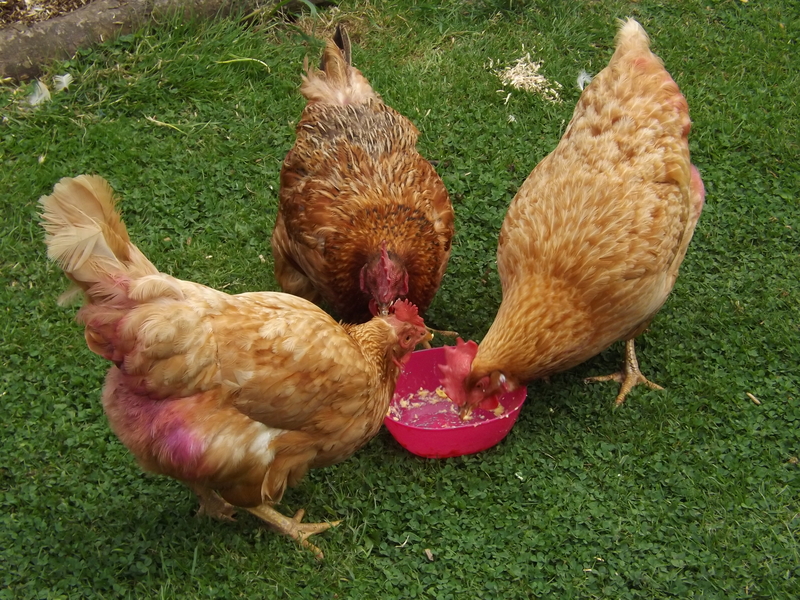 Dorothy-Kate, Greta and Flora-Jayne tuck into a treat! DK was however battling the same issues so many ex-batts struggle with. At over two years’ free she was starting to suffer from crop problems. 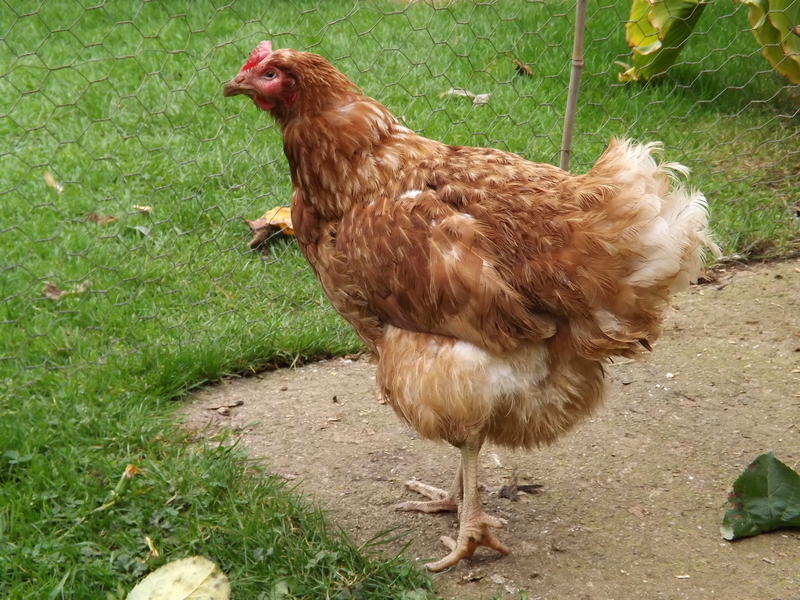 Often a sign something nasty is lurking elsewhere, we treated her as best we could and managed to pull her back from the brink on many occasions. Never underestimate the will to live of an ex-batt! Especially a girl as feisty as our darling Dorothy-Kate. 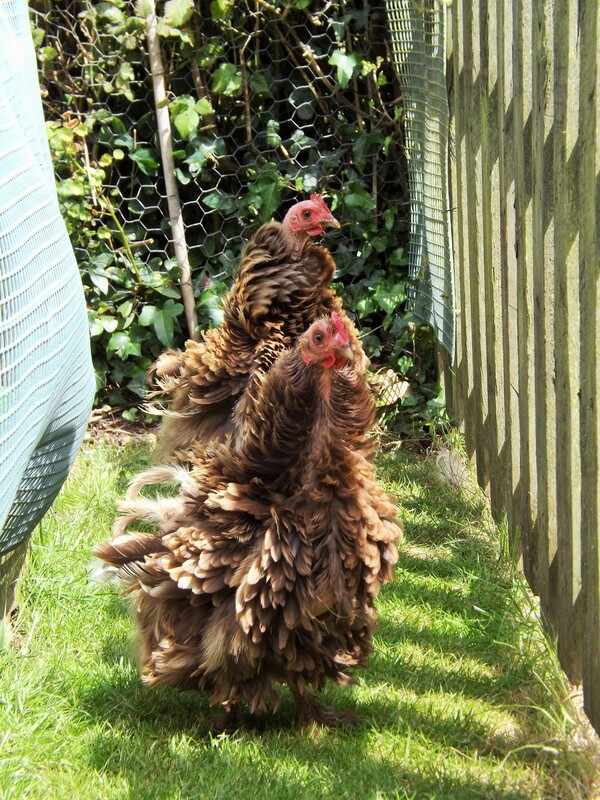 In February this year, Dorothy and Flora-Jayne became ex-batt ambassadors extraordinaire. 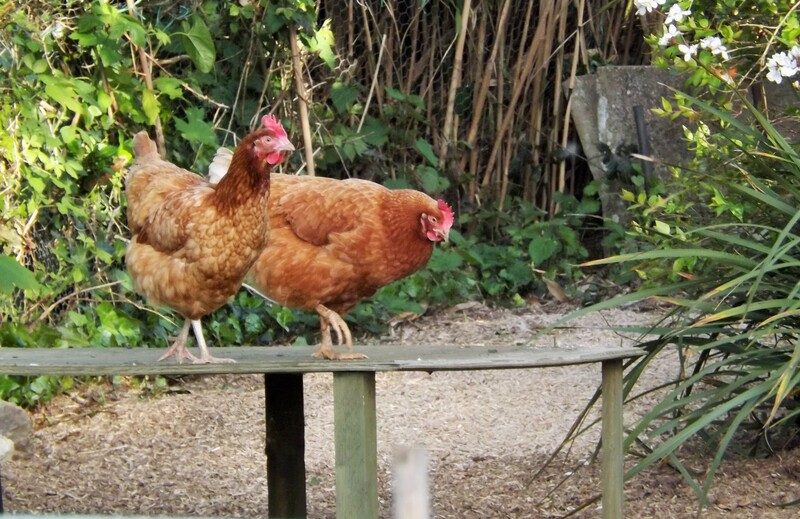 They took part as show hens in a short course on Keeping Pet Chickens and were, understandably, the stars of the show! They behaved like the true professionals they were and charmed their audience, who all went home eager to have their own ex-batts. A little hen can ask for no greater legacy than to know that because of her, some of her caged sisters will be rescued and given a new life. I was so terribly proud of them. Unfortunately, a few weeks later, Dorothy became ill again, her crop not emptying and her abdomen swelling at an alarming rate. I tried everything I knew to help her but to no avail; sadly I had run out of tricks. She was in pain and was getting worse by the day so, for a girl whose dignity was so important to her, I knew it was time. I asked John to come round to say goodbye to her before we visited Aunty Gina, who agreed that a girl as special as Dorothy needed to die in peace and with dignity. At two-and-a-half years’ free, she had spent longer out of the cage than in it. 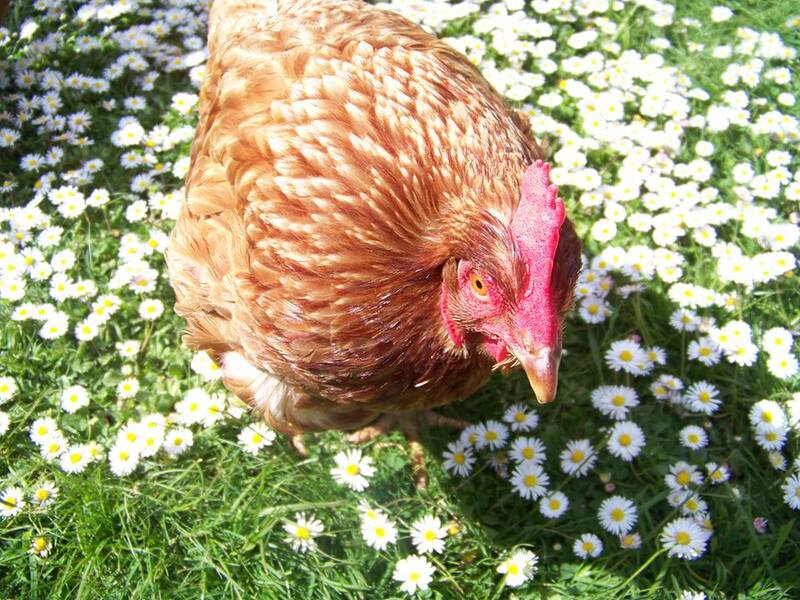 It is little comfort at times like these, but as she passed away peacefully in my arms, I hope her memories were of sunshine, worms, friends and sunbathing – all the things a little chicken should always be able to enjoy. John wanted to take Dorothy home to bury her with her sister Doreen, so I wrapped her little body up snugly and placed some forget-me-nots under her wing. 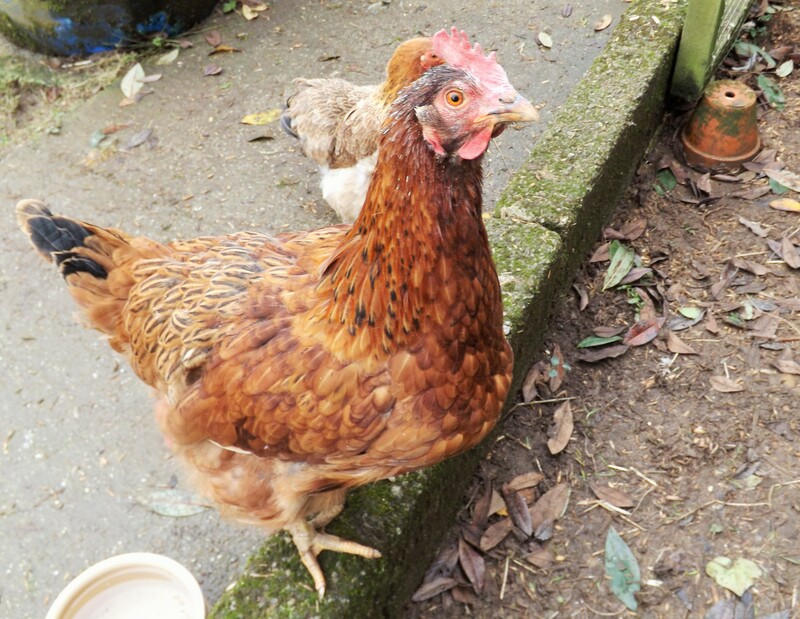 It was exceptionally hard to hand her precious body over – normally I see them through to the very end – but Dorothy had only ever been staying with us and she needed to be with her other sister. If I trusted anyone to care for her, it would be John and Sharon – they have good, kind souls. She is now buried next to her beloved Doreen with camellias on her grave. 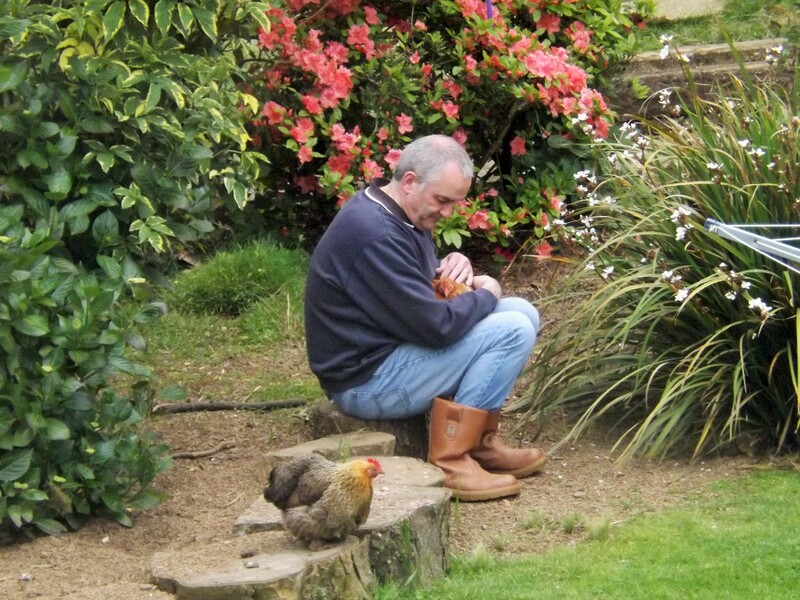 She also has, however, a stone here at Rosewarne, and will always be a part of our flock.